Are you tempted by thoughts of travelling somewhere new and extraordinary to celebrate New Year's Eve? 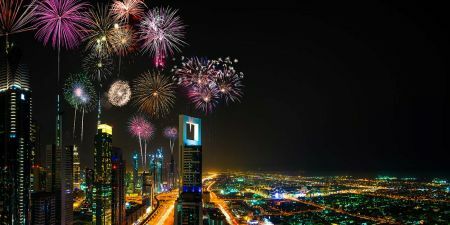 This Dubai New Year's Package for 2019 will send you into the new year with glitz and excitement! You're going to see the best of the city, from the classics like Dubai Museum to the sublime, Stand atop the world's tallest building, an unparalleled shopping extravaganza. 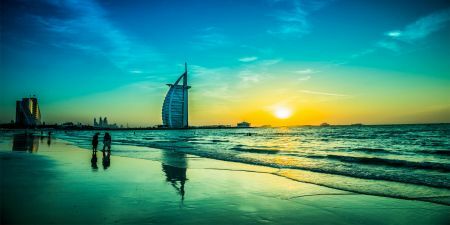 You'll visit Burj al Arab, the world's most luxurious hotel, and the resplendent Jumeirah mosque. Top it all off with a desert safari into some of the oldest sands of time. 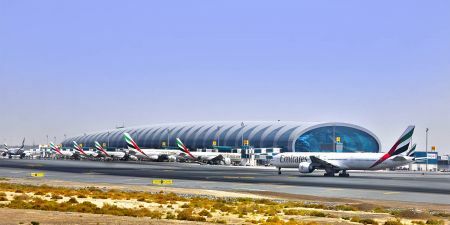 Upon arrival at Dubai International Airport, you will be met by our Representative and transferred to your hotel. Check in to Hotel and rest of day at leisure. Although Dubai is now transformed with contemporary architecture into a modern and luxurious city, there are historic traces that existed 40 years ago. This tour offers you the chance to go through the time and visit mini mazes of wind- towering buildings, narrow lanes and meandering pathways of the lively souks and a scenic ride on the traditional Abra boat. Spend a perfect day at Abu Dhabi, capital of the United Arab Emirates. Explore how this majestic city combines both the ancient past and the modern present. The ‘Abu Dhabi City Tour’ is an introduction excursion of the distinct siblings of Dubai. 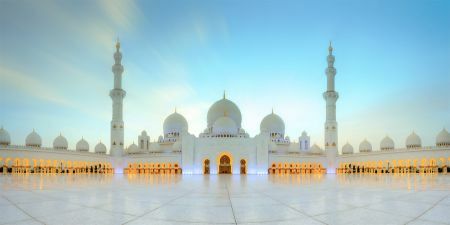 From one of the largest mosques to the mesmerizing Corniche, Abu Dhabi has a lot to offer you. A tour to the UAE would be incomplete without this thrilling safari in a 4x4 vehicle that will take you to some of the most amazing sand dunes of this region. Enjoy a unique adventurous activity that provides a cultural experience, Desert Safari with BBQ Dinner. Surely, you will have a memorable evening amidst a scenic desert landscape. Check out from the hotel and proceed to Dubai International Airport for Departure. Tour price currency is set to USD but you can pay in Euro or British pound. The prices quoted per person per tour all inclusive and prices are always updated to ensure you receive the lowest price possible. Prices valid during the mentioned dates only. - We operate small group tours with a maximum of 15 persons in a small bus. - Pick-up will be provided by a salesperson after the confirmation, and he will be there within 30 minutes, i.e. 9:00 means you can expect the guide/driver at any time from 9:00 to 9:30 and you have to be ready in the hotel/building lobby from 9:00. - The guide/driver can wait at the hotel with a maximum of 15 minutes, so please wait in the hotel lobby, or leave your place and name to the hotel concierge. - Please provide us with your working cell phone number, so we can contact you in case of any changes. - Hotels check-in starts at 14.00 pm at the hotel & check out last time at 12.00 in the noon. 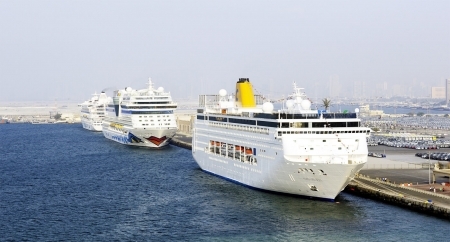 - Tourism Dirham fees are applied by Dubai Department of Tourism and has to be paid by customers directly to hotels. -Under 2 years old: free of charge if they do not occupy a seat. -Under 10 years old: 75% of the total tour cost for an individual. -Children from 10 years are considered adults. After your trip is confirmed, we will email you with the final confirmation and voucher to print and bring it with you. Details will include contact numbers for your tour operator, customer care and additional information for your convenience. Memphis Tours does not charge a cancellation fee for tours and excursions which is cancelled for disastrous reasons such as volcanoes, earthquakes, or any reason that is out of control. Memphis Tours cancellation policy will be applied if cancellation happens due to personal or business reasons.